Nick Page wears many hats. As someone who studied with Lorna Cooke deVaron at New England Conservatory, he is an accomplished conductor who spent three years leading the acclaimed Chicago Children’s Choir. He has since conducted at great and humble stages around the world, including Carnegie Hall in New York City, Carnegie Hall in Scotland, and Carnegie Hall in Pittsburgh. When he was in Chicago, he arranged Niska Banja, a Serbian folksong. It has since been sung by over a million singers. This first published piece was followed by over a hundred published pieces from several prestigious publishers (including Boosey & Hawkes and Hal Leonard) and the publication of his three books. SING AND SHINE ON, based on his masters thesis from Lesley University, looks at community singing from both multicultural and new paradigm science perspectives. It is a valuable lesson in how to inspire audience participation. Nick’s love of song leading led to his SING WITH US Songbook. He leads sings at schools, places of worship, business retreats, choral workshops, folk song gatherings, senior communities, and with family and friends. His song, DO YOU SHINE, and his prayer, WE PRAY, are audience favorites. He is in demand as a composer, writing for all ages and abilities. His COMIC BOOK OPERA premiered at Lincoln Center. Nick is very proud of his many years leading the Mystic Chorale. He loves new challenges, sacred music of Brazil and Cuba, working with slam poet Regie Gibson, folksinger Bill Staines, 95-year-old Gospel singer Randy Green, and many South African guests. 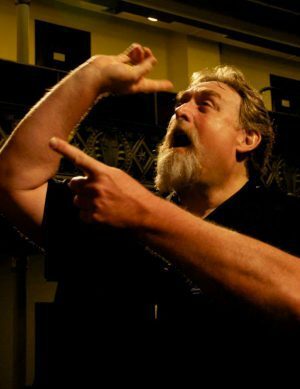 Nick’s website, www.nickmusic.com features many recordings of his original works as well as videos, essays, and other resources for musicians and teachers. When he’s not traveling or leading the Mystic Chorale, Nick works on many creative projects including his musical ATTACK OF THE WINDMILLS.